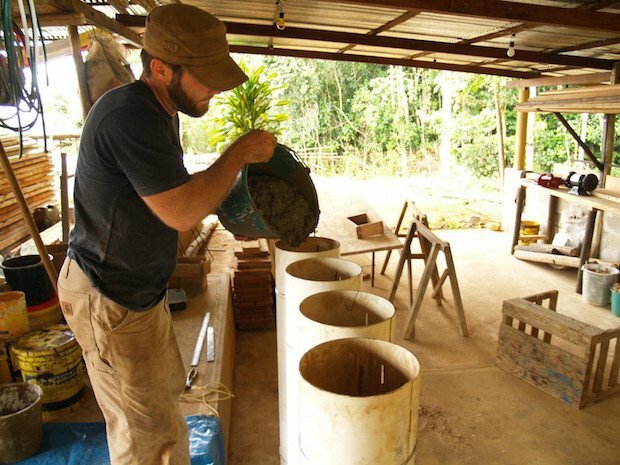 In 2007, Belgian couple Kristofer Nonn and Helen, decided to teach and build in the Venezuelan town of Santa Elena, having chanced upon the opportunity on Idealist.org. At just a 20min drive from the Brazilian border, this area of Venezuela centers around gold and diamond mining and gasoline trade. Sanitation and mold issues are widespread. 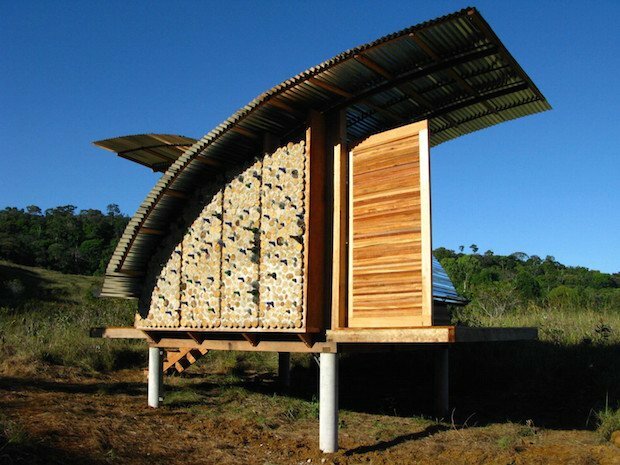 The majority of the population lives in small dwellings built with local wood and cast-in-place concrete, with corrugated metal cladding, dirt floors and zinc roofing. 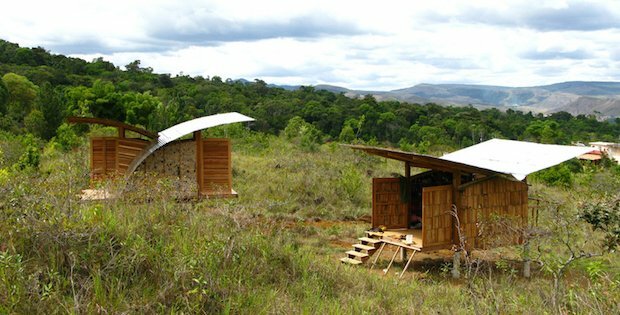 Using the same materials but with innovation and wit, Nonn constructed two eco-cabins that are simple yet elegant, and more importantly, they provided better living conditions and comfort. They are raised from the ground to avoid contact with moist soil, avoiding infestation of termites, and promoting cooling. 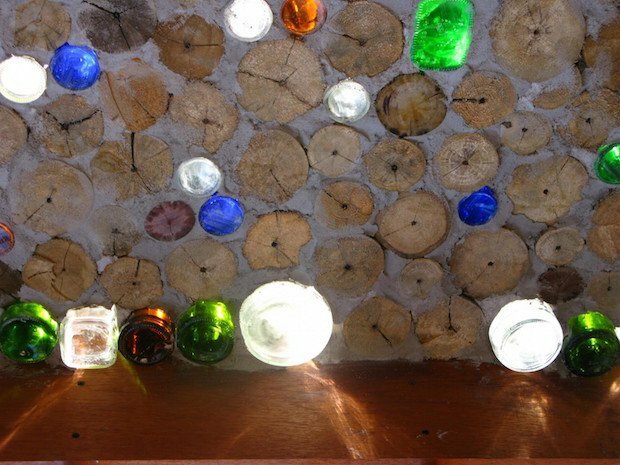 One is covered in Tung- type tiles and the other in a combination of concrete and waste glass bottles found at the edges of the roads. Doors open to the breeze and views towards the valley in north-south orientation and the roofs capture the breezes and rainwater. The furniture is integrated in the frame of the wall, minimizing the amount of material required. 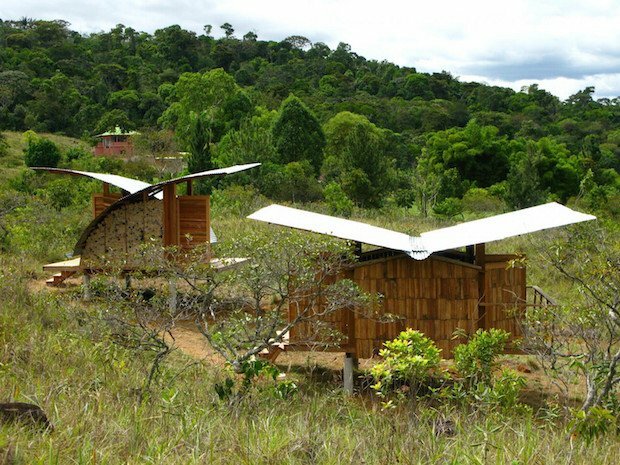 Nonn hopes to inspire new and better ways to build in the region, with more respect for the people and the environment of Santa Elena.